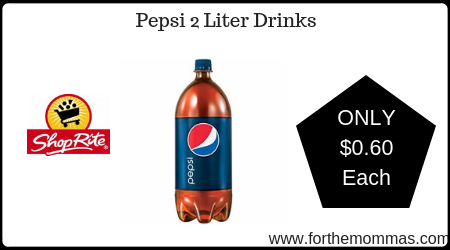 ShopRite: Pepsi 2 Liter Drinks JUST $0.60 Each Starting 3/20! 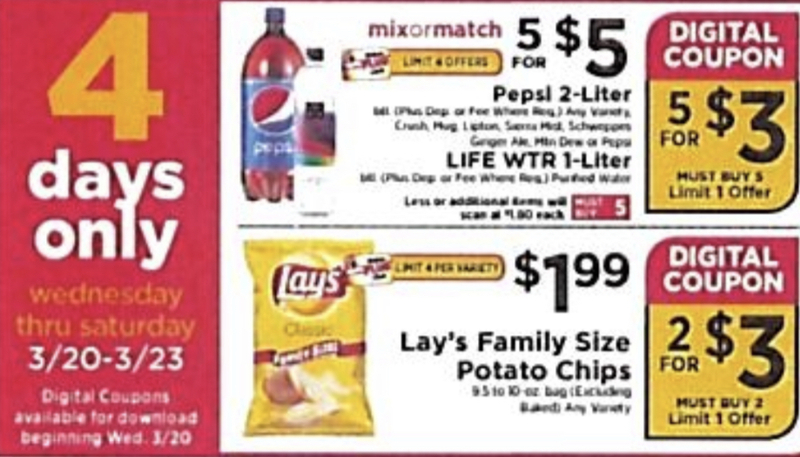 Starting 3/20, ShopRite has Pepsi 2 Liter Drinks or Varieties priced at only $1.00 each. In addition to this, we have a ShopRite ecoupon to use on this deal that will make your final price ONLY $0.60 each!